While the end of the year is the traditional time for wrapping up and counting wins and losses, we’ve decided to ignore that convention and look ahead. This is not because there haven’t been many wins to count – while not perfect, President Trump has done well by conservatives and such losses and defeats as we have booked have been at the hands of our old political enemies – Mitch McConnell, Paul Ryan and the corrupt liars of the Republican establishment. So how do we conservatives make 2018 better than 2017? We can start by correctly defining our problem; it is that the Republican establishment is not some misinformed group of conservatives who we need to educate about the true conservative position – we need to recognize that they are on the other side and treat them as opponents, not misinformed allies. As CHQ Chairman Richard A. Viguerie kept repeating in his book TAKEOVER – It’s the primaries, stupid. For more than a hundred years, we conservatives have had our political guns trained on the wrong target. We’ve been focused on defeating the liberal, Big Government Democrats, when the first, and most important, roadblock to our goal of governing America according to conservative principles is the progressive, Big Government Republicans. During the entire centuries-long civil war in the Republican Party, the progressive establishment leadership of the GOP has been selling the notion that the Democrats and the liberals are the problem, and that if conservatives would only line up behind establishment Republicans and put them in charge of the federal government, the growth of government and America’s slide toward socialism would stop. Nothing could be further from the truth. Democrats have purged conservatives from their party. At the national level there are no conservative Democrats, but there is a small group of smart politicians, like West Virginia Democrat Joe Manchin, who talk like moderates or conservatives on some issues. The Democratic party is the party of secular liberals, and they present a coherent worldview of government, and growing government, as the solution to every problem—and the means by which to impose those solutions on the rest of society. Establishment Republicans, on the other hand, are not the conservative party. Establishment Republicans do not offer a coherent conservative worldview as an alternative to the Democrats’ secular liberal worldview; they pursue policies that are “Democratslite,” and they govern as “dime store Democrats,” simply growing government at a slightly slower pace. Consequently, the abusive bureaucracies and extra-constitutional rules and regulations, which establishment Republicans either support or to which they offer little or no opposition, have continued to grow. Moreover, the GOP establishment has been complicit in one of the worst abuses Washington’s insiders have perpetrated on America’s taxpayers—the Democrats’ decades-long program that has wasted tens of billions of taxpayer dollars on slush funds for left-wing causes such as NPR, Public TV, Legal Services Corp., Planned Parenthood, radical environmentalism, homosexual and ethnic advocacy groups such as La Raza, and the various ACORN clones of the Left, that so offend conservatives and are committed to defeating Republicans and advancing a far Left agenda. Far from shrinking government, whenever they have been in power establishment Republicans have contributed to the growth of government. The GOP leadership can’t hide behind the excuse that they only control one-half of one branch of government—Republicans now have the White House, House of Representatives, and Senate, and funding for Planned Parenthood is still in the budget because they were simply not prepared to go to war to defund it. Until we conservatives control the Republican Party and nominate conservative candidates who will actually fight for and govern according to the conservative principles the party stands for, there will be no coherent alternative to the Democrats’ Big Government worldview presented to the voters, and little likelihood that we conservatives will achieve our goal of governing America according to conservative principles. Which comes to the practical action necessary to make 2018 better than 2017 – recruit solid, proven conservatives to run for every office on the ballot. The filing deadlines for some states, such as Texas, have already passed – meaning the time is now to check this calendar and begin the process of submitting your statement of candidacy or getting signatures for filing by petition. 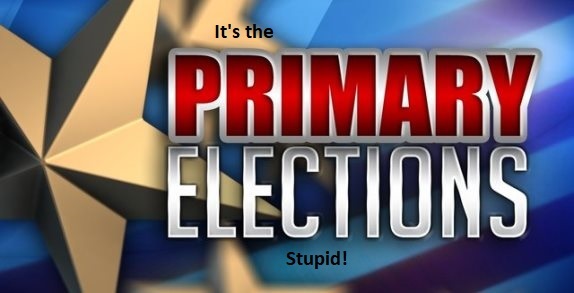 And remember – you don’t have to run for Congress, or the state legislature to make a difference; there are literally dozens of elective offices in your jurisdiction; everything from Governor to member of the Soil Conservation District, Fire District and most especially precinct committeeman* will be on the ballot in most states. If you have ever thought about running for office this year is the year to do it! *The late Phyllis Schlafly called precinct committeeman the most powerful elective office in America. If you don’t feel you can commit to running for any other office, please read this article and then file for precinct committeeman for your precinct. Submitted by David Givens on Tue, 01/02/2018 - 15:31. I have a plan to takeover the Republican party and throw RINOs out. If someone can put me in contact with Steve Bannon, he can have it. If he likes it he can use it, if doesn't he won't. Submitted by Joseph C Moore-... on Tue, 01/02/2018 - 13:51. For all the complaints about the RINOs, the blame lies with the voters. "Oh, he/she has an "R" after his/her name, I'll vote for him/her." Then these outraged voters wonder why the congress creatures aren't conservative and collude with the leftists. Look at who these candidates consort with before electing them. Where is their campaign money coming from. Promises made by mealy-mouthed politicians will not be kept no matter how strongly they say them. Candidates need to be vetted BEFORE elections, not after.